Rome can entertain visitors for weeks on end, but travelers will also appreciate the many excellent day trip options from the Italian capital. Here are a few ways to explore Tuscan hill towns, Renaissance marvels, ruins of ancient cities, and more. Visit Tivoli to see how the ruling class lived hundreds and thousands of years ago. The town, roughly 40 minutes from Rome by train or public bus and 30 minutes by road, is home to lush the Renaissance estate of Villa d’Este and the ancient Roman Hadrian’s Villa. The gardens of Villa d’Este are renowned for their fountains, while Hadrian’s Villa complex was built for Emperor Hadrian in the second century. Today, visitors see ruins of temples, theaters, baths, and the Imperial Palace. Choose a half-day tour or a more in-depth full-day option. The Tuscany border isn’t far from Rome, but it’s a large region with plenty to explore. Head up to the hill towns of Montepulciano and Montalcino to enjoy views and wine, or take in the scenery of the UNESCO-listed Val d’Orcia, where Pienza is surrounded by rolling hills. See some of Tuscany’s most famous attractions in Florence and Pisa, and sample the region’s varietals on a wine-tasting tour. Tuscany tours from Rome, which usually run 12 to 14 hours, can either cover a lot of ground or focus on just one or two places. A visit to the excavated Roman city of Pompeii may put ruins such as the Roman Forum and Palatine Hill into context. It’s two hours to Pompeii by train with a transfer in Naples, and the trip is less than three hours by road. Pompeii tours from Rome generally last 10 to 13 hours and often include a guided walk through the ancient city and the chance to hike Mt. Vesuvius, the volcano responsible for burying Pompeii in 79 AD. You can also choose to stop in Positano or Sorrento. The Tuscan capital and the birthplace of the Renaissance, Florence is a quick one hour and 30 minutes from Rome by high-speed train, and about three hours away by road. 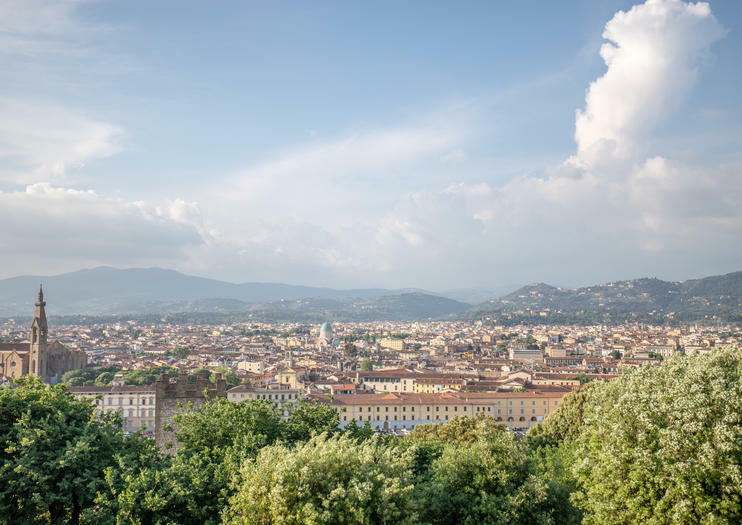 Tours to Florence run between 10 and 15 hours, and typically include a guided city walk and a visit to Michelangelo’s David at the Accademia Gallery and the gorgeous Duomo. Some Florence tours include a visit to nearby Pisa.